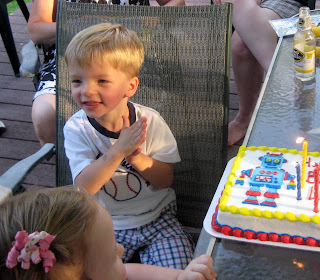 Today is my little boy's 3rd birthday! Happy Birthday Mr. L... We love you! You are bring sunshine to everyone that knows you! Today is also the third anniversary of the night that my life was saved. Yes, I credit my first and only child with saving my life the night he was born. Let me explain. If you read my story you know that my son "L" was born 5 weeks premature due to my development of HELLP syndrome. 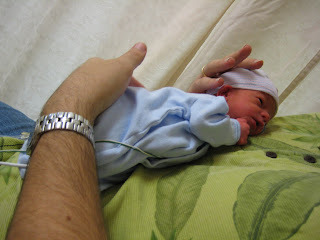 He also had severe IUGR (Intrauterine Growth Restriction) likely due to my HELLP and placental issues. I never expected him to come on August 9th, but he entered the world via emergency C-section at 11:56 pm... just barely an August 9th baby. He was 3 pounds and 4 oz and 16 inches long. He was breathing perfectly, just super small. We were both extremely lucky. First time HELLP syndrome claims around 1 in 4 women that develop it. Most people don't realize that women DO still die in childbirth. The next 27 days were a bit of a blur, as "L" spent them in the special care nursery: learning to eat, grow, and regulate his temperature. We were finally allowed to bring him home on Sept 5th. You cannot even begin to imagine the intense emotional pain of not being able to take your child home from the hospital with you, when you are discharged, but I also know that we are so very blessed that we were eventually able to take him home, as there as so many families that NEVER get to bring their babies home. Getting to that point was a broken road... we had been through a miscarriage, a diagnosis of PCOS and the resulting infertility, horrible morning sickness, gestational diabetes, HELLP syndrome, the emergency delivery, the IUGR, and the baby in special care... all in a matter of less than 2 years. That's alot! Somewhere in those 27 days while he was in the hospital came a realization. Maybe it was my "a-ha" moment, if you will. I had a little life to care for now. This wasn't just about me anymore. I had to think outside myself. The other half of my a-ha moment came when my doctor told me 1 year after his birth that my weight was likely a "contributing factor" in my pregnancy issues and my son's IUGR. WOW! That will hit you like a ton of bricks. One week after being told that, I walked into Weight Watchers for my first meeting. I needed to lose 117.4 pounds to get to the highest healthy weight that Weight Watchers would allow. I need to lose 106.4 pounds to get to the goal weight my doctor set for me. It was unfathomable that I could EVER do it, but I never felt I had any other choice. And b/c of his birth day that on August 9th in 2007, and the drama of the way he entered this world, my life was FOREVER changed That night he saved my life. He saved me from a likely short life of joint pain, heart disease, diabetes, and probably continuing to gain weight eventually leading to my early death. I absolute 100% know that this special little boy had a very special purpose. I believe that NOTHING in this life happens randomly. So... thank you "L". Thank you for saving your mommy. And thank you to your Creator for having the insight to see that I needed you more than you needed me. I can sit here today 102 pounds gone, and ALMOST there because of you. 3 years ago I spent the scariest night of my life... alone in a room without my baby who had just been suddenly ripped away from me... not knowing what was happening. Unable to move because I was still numb from the waist down. I spent the night, counting down the minutes until morning. I could not have predicted that night how my life would soon be changed. Tonight, 3 years later holding my little boy is living proof that miracles do happen! Thank you "L" for saving me... I would not trade 1 second of the last 3 years - even the scary ones for anything! You are fearfully and wonderfully made! Precious!!! He is a beautiful gift and so is your life!! So happy for you all!! Hugs! 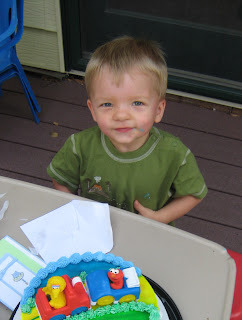 i have a little guy turning 3 this month as well and it just goes too fast!! this made me all misty. i'm so happy for you and "L"! you inspire me to keep going!